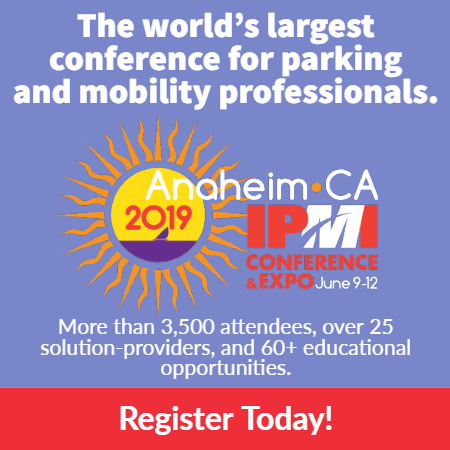 SAN DIEGO, Calif. – Smart Parking leader IPS Group is showcasing its new Fully-Integrated Parking Management Suite at the 2018 IPI Conference & Expo in Orlando, Fla. Visitors to the IPS booth are invited to “See the future of Smart Cities through the lens of IPS Group” through interactive demos of IPS Smart Parking applications featured in the Innovation Studio. The Studio offers users a glimpse into the future of Smart Parking, including the industry’s first augmented reality parking application. IPS provides Smarter Parking for Smart Communities™ through the industry’s only true Fully-Integrated Parking Management Suite. Several IPS customers have already subscribed to the complete product suite for the ease of city-wide parking data integration and access to all parking applications in one cloud-based platform. The Suite of Smart Parking products includes single- and multi-space meters, sensors, enforcement and permitting solutions, and mobile payments that connect to one, powerful integrated Data Management System (DMS). The secure, cloud-based DMS aggregates the data from all integrated devices into meaningful analytics and reports. A truly integrated solution allows cities and communities of any size to manage their entire parking network from anywhere, anytime, with single sign-on (SSO) access to all applications and consolidated parking data in one place. While the IPS Parking Management Suite offers all of the interrelated parking applications a city may need, it can also seamlessly integrate with any third-party service via API.